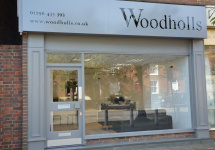 Woodholls are a family owned independent estate agent operating their business with a "no ties and no lies" ethos. With great customer service levels there is no need to restrict clients to a long sole agent contract. Correct valuation and honest advice will get the job done efficiently whether you are selling or letting your property.